Hope everyone enjoyed our gig at the Bitter End in NYC. More photos & some videos from it on our Facebook page. Currently, we're writing new material...hopefully some fall gigs (and possibly another CD) are in our future. P.S. - Click the link below to enjoy listening to us & other great indy artists through IM Radio. We're on the New York - Power Pop channel (though you might want to check the Rock channel as well). 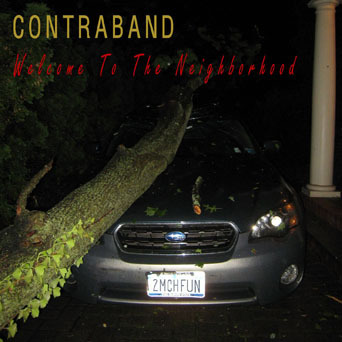 Contraband's first CD - Welcome to the Neighborhood, is complete and available for purchase. The group produced and engineered the entire collection of original songs, and invites you to purchase the CD from our online digital distributor - just click here to go to the CD Baby website. If you have any problems purchasing the CD, please contact us directly. All proceeds from this CD will go to charities. 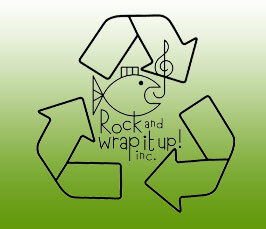 For the online sales, Contraband has once again aligned themselves with Rock and Wrap It Up, an independent anti-poverty think tank based in New York. It is non-profit and nonpartisan, an organization devoted to developing innovative greening solutions to the pressing issues of hunger and poverty in America. After 8 years making music (and some great meals), Jim, Mark, Sue, Thierry and now Steve are going strong, and haven't killed each other from the studio experience. 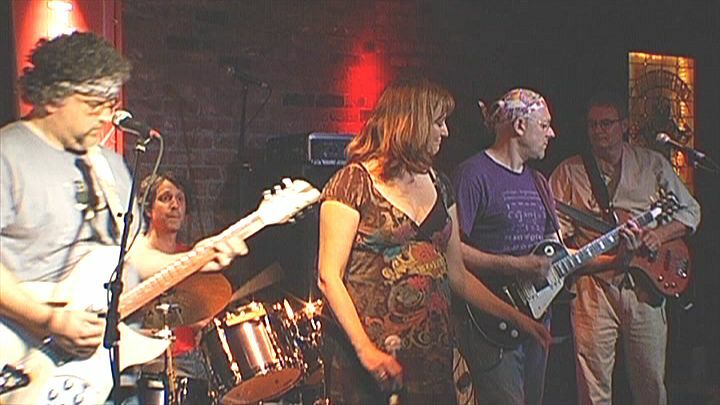 2010 will see more gigs for the group, who has been huddled up in a New Jersey studio most of last year. So check out the site. Check out everyone's page - each band member has free reign to put on the page whatever they want (will Thierry write his in French?). And don't forget to buy the new CD (did you know that it's available in the iTunes store?). 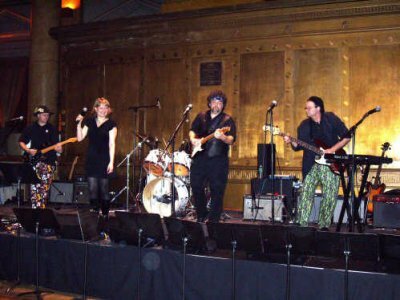 Wanna have us play for your event? Wanna know when we're playing next (so do we)? Wanna know the average airspeed of a swallow? Send us a note at toomuchfun@contrabandmusic.org. That's all for now. Look forward to seeing you at our next gig. Oh yeah, thanks to our great official photographer, MM, for all her work.